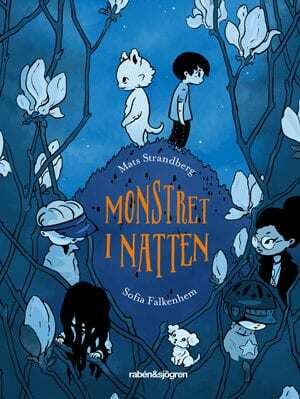 With the trilogy about Frank the monster Mats Strandberg and Sofia Falkenhem have turned to the younger readers with warm and heartful horror. All the books about the fluffy monster Frank and his friends are true gems, beautifully illustrated by Sofia Falkenhem! And as always, Mats Strandberg has a burning hot topic imbedded – the fear of others, if they are not just like yourself. The first book The Monster in the Night was published 2016. 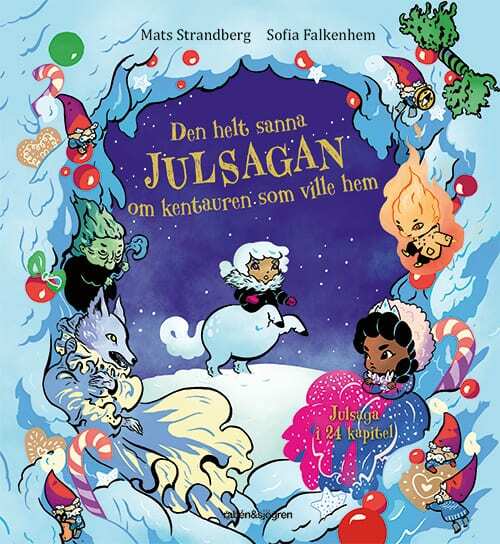 In November 2018 all children in third grade in Gothenburg were given the first book as a gift in the town’s reading program. In the spring of 2019 Rabén & Sjögren published a collectors edition with all three books in one. In the fall of 2019 the readers will get a chance to return to the world of the monsters. In Rabén & Sjögren’s Calendar book The Totally True Story About the Centaur Who Wanted to Come Home for Christmas Frank’s monster friend Ken Taur is the main character and in center of the story. 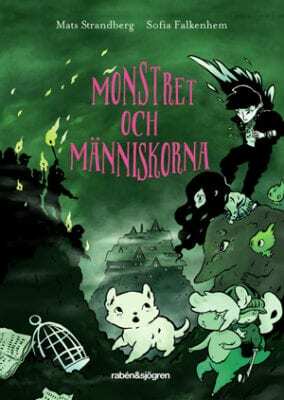 Frank the monster has been adapted into a theater play with premiere at Junibacken, the Astrid Lindgren Museum in Stockholm in September 2019. The film rights are sold to Nexico Film who are developing the universe into an animated film. Mats Strandberg has written the praised YA novel The End and the horror novels Blood Cruise and The Home, sold to fifteen countries. 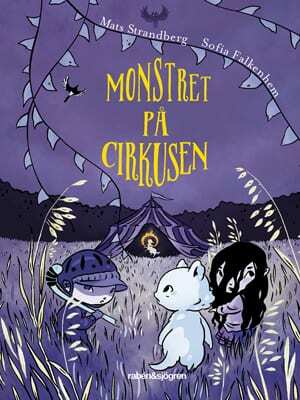 His breakthrough as an author was with The Engelsfors Trilogy (The Circle, Fire, The Key) which he wrote with Sara B. Elfgren and which was translated into 25 languages. Sofia Falkenhem is an illustrator and comic artist. 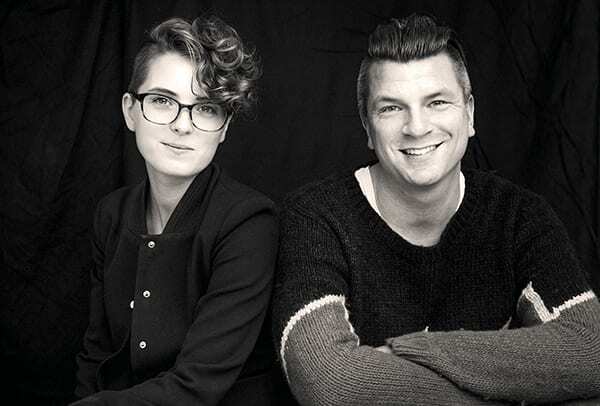 Besides the Frank the Monster Trilogy she has illustrated the series about Kalle Skavank and Dilsa by Petrus Dahlin and the books about the siblings Tilly and has been published numerous times in the comic magazine Utopi. – I’ve tried to write a book that I would have loved to read when I was in primary school. I wanted excitement, but as an adult, I can see that I was drawn to stories that also held a touch of melancholy. The werewolf is the only classic monster that I am not so fond of. Often the beast is a sort of symbol of the unbridled and brutish masculinity, which breaks out of the veneer of civilization. I thought that in a lonely boy as Frank is rather a creature hiding who longs for togetherness. And the monster lets those sides out. That way, in this story, it is rather the people and their fear of the unknown that becomes the threat. – Mats has given me a huge confidence by letting me into the story from the first blueprint. It has allowed for us to continually build upon each other’s ideas and create a world that is a mixture of what we love and fear. Working with Mats Strandberg is a proof that sometimes 1 + 1 makes 3! All the books in the trilogy hold a number of “Easter eggs” for the observant adult reader. Being a huge fan of both fantasy and horror, Mats Strandberg just couldn’t resist to sneak in references to previous literature and films. 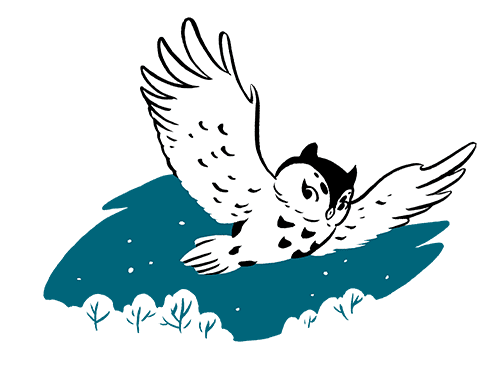 The boy’s name is Frank Stein, remarkably alike Frankenstein, and in an early stage of the book, Frank’s neighbour says “The owls are not what they seem” – a classic line from Twin Peaks, and the town Yrred reads Derry backworkds, a fictional town which has served as the setting of a number of Stephen King’s novels.